Asiana has some unusual ways of operating, and it pays to check up on these before you fly, or you could miss out on perks like the free hotel for an overnight stop. 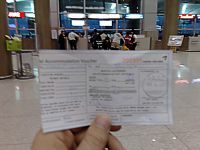 If you are staying at one of the hotels in Seoul city centre you can check in at the 'City Air Terminal' and get a bus direct to ICN without the hassle of stopping at other hotels, but it does cost 14,000KWN for the bus ticket. The journey takes 90 minutes, and you can only check in 3 hours ahead of time, so if you want to make the most of lounge time, you might be better making your own way to the airport. However, you do get the perk that if you use the City Air Terminal, you can also use the Crew/Diplomatic Security lines for a speedy passage airside. In theory, Asiana are a good airline to use on the kangaroo route to Australia, in a similar way to Thai and Singapore. Admittedly, the second leg to Australia is somewhat longer, but many passengers would prefer two equally sized legs, rather than a long one to say Bangkok, and then a shorter flight to Australia. However to Asiana, it doesn't work that way. The first problem is that Asiana's woefully poor website won't sell you a ticket. To get a through ticket from Europe to Australia you either have to call into an Asiana ticket office, or book via an Agent. Make sure you try to fly out on the 4 days a week when there is a UK flight. The flight from London is at a good time, leaving at 9pm, and rolling into Seoul at 5pm, with just enough time for an easy connection at 8pm for the slight to Sydney, which lands at 8am. It's on the way back that problems occur. The flights back miss each other by five hours, meaning that an overnight stop of 19 hours is needed, with the flight from Sydney landing at 6pm, and the flight to London taking off at 1.30pm the next day. Thankfully Asiana provide a free hotel, but this is neither promoted, nor widely know about. What you need to know about is STPC, or Stopover Paid by Carrier. This means that if your itinerary forces a stop over overnight, and there are no flights to avoid this, the airline will pay for a hotel if it is requested in advance. In other words, if the only flight of the day arrives too late or departs too early for a same-day connection, that is the only scenario where airlines will give STPC. To get the hotel, you have to book via an agent, and then get the agent to request the hotel directly with Asiana. Normally, they won't bother, and some more inexperienced ones will think that you have to pay for it. You don't - the airline will. 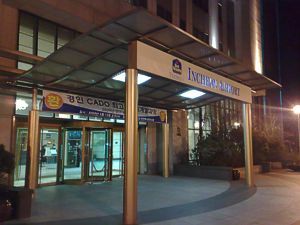 You will be offered an Incheon area hotel as well as Seoul city hotel, but again, it's down to what your agent requests. Asiana will then put a request on your booking, but you must then reconfirm it when you check in at Sydney. If possible, get the name of your hotel. Then, after landing at Incheon, as you leave the customs area, go past the baggage claim area and keep going to the far right. You'll find the Asiana desk on the far right beside the Asiana Club Service desk down between doorways 13 and 14, next to the US Forces desk: it is the single desk on the left. They will also arrange transport to your hotel, although this can take some time, and you will have to wait on the wooden benches opposite the desk. Quite often at the desk there is a manager from one of the hotels hassling the staff there to book passengers into "their" hotel, and once the voucer is written out, it is hard to change it, so make sure you know what hotel you want before you approch the desk. Hotels vary. If you choose to stay at the airport, most economy passengers end up in the Hotel June, which is not up to much. The Best Western Incheon Airport is better, and where many Business Class passengers stay. If you do, make sure you ask at the hotel desk for the "club floor" (floor 7) with free internet. However the food and the bar here is very poor. Just opposite is the Hilton, which is brand new, and great, and is definately the hotel to ask for at the desk. One of the common questions is "How do I get an upgrade on Asiana to Business or Club class?". Alas, getting upgraded to business class on Asiana really isn't that easy. Asiana has the Western, rather than American, model for upgrades longhaul. Which is to say you'll only get an upgrade if your paid for class is full, and then upgrades are processed accordingly to a pecking order of elite frequent flyer status. You are very unlikely to ever get an upgrade unless you are at least a Gold Star Alliance member. To start with, make sure you are a frequent flyer, and you do fly frequently: after all, if Asiana are going to upgrade anyone, they will upgrade those passengers who fly with them pretty regularly, and hence will enjoy the upgrade enough to put more business Asiana's way. Then if the flight is full in economy, and someone needs to be moved up, the check in staff will first look at Diamond Plus Asiana Club members, and then Diamond level, and then at other Star Alliance members at the equivalent levels (Gold, and then Silver). Another thing that Asiana look at is how much you paid for your ticket: it's much more likely to happen with a full fare ticket (although occasionally you can get lucky with a discounted economy ticket). Curiously, on Asiana, it is actually better to subtly ask at check-in "How full is the flight today?" as they will often actually phone up the supervisor to ask whether it would be possible to upgrade you. This is particularly the case at London Heathrow, where the checkin Staff are from bmi, and there is only one Asiana staff member on duty (in the ticket office). Note that if you get an Operation Upgrade at Heathrow, you will be invited to pay the extra Air Passenger Duty (tax). Asiana shouldn't legally be asking for this (it is tax free) but if you are offered the upgrade, it can seem churlish to refuse to pay (and, indeed, it's quite clear that if you don't, the upgrade is taken away). The Asiana website is solid, professional, and downright hilarious. The problem is the language is korean, translated into saleman pigeon English. For example, how would you like to hear that "Asiana will enhance elegance your travel", learn about the "Indivisual Video System" (SIC), and "understand convenience, at your will". It's scary stuff. 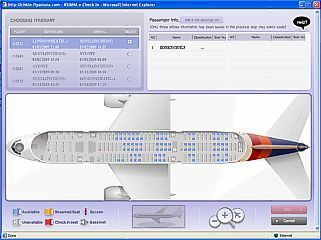 Beware that it is impossible to book some flights on the Asiana website. for example, you can't book a flight from London to Sydney. Using the website you can select seats and check in online. To do this you have to be an Asiana Club member, but oddly, you don't actually have to have this Club number in your booking: indeed, you can have any other Frequent Flyer number in there: the Asiana Club number is just to get past the first login screen. The Seat Selection part of the website can sometime be a bit flakey, and you may have to try it several times to get it to work, and then when you have forced it though, you can find some seats permanently unavailable for this process: emergency exit seats for example, along with many of the window seats. Asiana's baggage allowance & carry on bags. 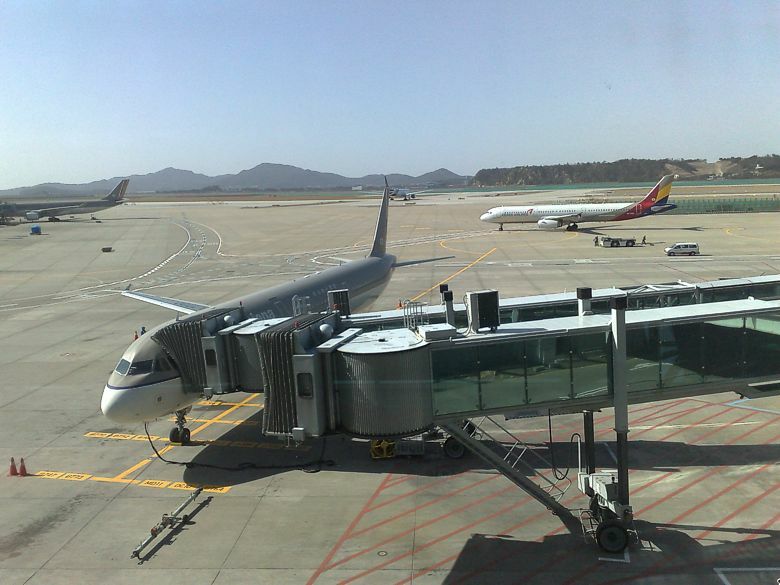 Incheon Asiana A321 on the stand in old livery, with a new livery A321 behind.